SHSU travel must be planned to achieve maximum savings and efficiency. The travel expenses should be the lowest possible considering all relevant circumstances. SHSU has contracted with Corporate Travel Planners (CTP) to book travel arrangements for airfare, hotel and car rentals related to business travel. CTP offers an online booking tool through Concur http://shsutravel-ctp.com and full service agents to help complete your travel itinerary. A traveler may be reimbursed for meals, lodging, transportation and other expenses while traveling on official business, as determined by SHSU. Travel policies and procedures will default to the state policies if SHSU does not have a local policy or procedure for a specific situation. Chrome River – System for submitting Travel Reports (Pre-Approvals and Expense Reports). All employees have access to system and are required to process reports directly through the Chrome River tool. Corporate Travel Planners (CTP) – Travel agency contracted with SHSU providing support for the Concur booking tool. CTP offers both online and full service to SHSU employees for all travel booking needs. Confirm funding source (State Funds/Local/ Grant) travel will be expensed. Register for Conference, if applicable. Book Airfare in Concur and obtain FINALIZED flight Itinerary to secure airfare ticket. Make Hotel reservation in Concur; unless Conference Hotel, then make reservation through conference website. Confirm allowable amount approved for travel expense. If travel card is used for travel expenses, review traveler’s e-wallet in Chrome River to ensure all travel card transaction have posted in Chrome River. Confirm allowable amount for expenses. Some travelers are limited to a specific dollar amount by the department. Traveler can only claim approved amount. Attach all required receipts and documentation (cost comparison/exemptions/etc.) for travel expenses. Submit Chrome River Expense Report within 30 days from ending travel date. Travel can be submitted on different types of funding sources, either state, grant, or institutional funds. Specific guidelines apply to state funds. Grant funds follow the same guidelines as institutional funds. The traveler must be aware of the funding type before traveling to determine the policy and guidelines related to the source of funding. State funded travel is the use of appropriated funding by the State Treasury and accounted by Sam Houston State University on funds starting with 11 or 12. All State funded travel will follow the Texas State Comptroller’s Travel Policy. Institutional funded travel is the use of funding generated by Sam Houston State University through designated tuition, fees, and other revenue. Institutional funded travel will default to the Texas State Comptroller’s Travel policy, if no specific travel policy exists. Conservation of funds - It is expected that all university travel is planned and conducted to achieve maximum cost efficiency. All expenses must be reasonable, necessary, appropriately documented/explained and properly approved. Designated Headquarters - Defined as the boundaries of the city in which the employee’s place of employment is located. 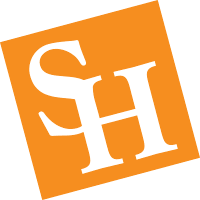 Huntsville is the designated headquarters for SHSU employees, unless defined differently by Human Resources. Coordination of travel arrangements - When two or more employees from the same department are traveling to the same destination, it is recommended that the transportation arrangements be coordinated as a method of conservation of funds. SHSU Employee (Faculty/Staff) - Travel by an employed member of the institution who is traveling on behalf of SHSU for business purposes can be reimbursed for travel expense. Employees have profiles in Chrome River to submit travel reports and access to Concur (online booking tool) for airfare, hotels, and rental cars. Prospective Employee - Travel for a non-employed member of the institution who is traveling to SHSU for interview(s) for an open position. Reimbursements for travel expenses are allowed and must follow the normal approval process as current employees. If unable to obtain prior approval. Then an expense report will be submitted for travel expenses and approval will be obtained through auto routing in Chrome River. Employee Spousal/Family - Travel for an employed member of the institution when a spouse or family member accompanies the employee for official SHSU business and with request for SHSU to pay for travel expenses as the presence of the spouse or family member benefits the university. An employee’s family member is allowed to travel with proper approval from the President (Spouse Travel Policy FO-TR-42). The spouse or family member’s expenses will be reported to the Payroll Office to determine taxability. Student Travel (Undergraduate/Graduate) - A currently enrolled student traveling on university related business. Students are eligible to receive reimbursements for travel expense if approved by department or a SHSU sponsored organization. A departmental secretary or coordinator (employee of SHSU) will be responsible for submitting travel reports, through Chrome River, on behalf of the student to ensure that funds are encumbered and travel has proper approval. Employed graduate students have a profile in Chrome River; however, undergraduate students need to be set up as a vendor. Team/Group Travel - Defined as travel involving at least one student and one employee of SHSU. When a travel advance is requested or the travel card is used to pay for expenses, the employee (lead staff or faculty member) will be designated as the custodian of the funds and is assigned financial responsibility and required to obtain all travel documentation. Reports will be submitted through the Employee’s Chrome River profile while providing a list of students/roster. Guest Traveler - A non-employee member, traveling to SHSU or on behalf of SHSU for university related business or services. Guest travelers can be reimbursed for travel expenses, but do not have access to Chrome River. A departmental admin will need to submit travel reports through Chrome River utilizing their own profile and selecting the traveler as the vendor. To process a Pre-Approval with no expenses for SHSU, select the box No Cost to SHSU and enter $0.00 for the dollar amount on a line item, utilizing expense tile labeled Other, so the Pre-Approval will flow through proper approval queues. If travel takes place without an approved Pre-Approval prior to the departure date, the travel is considered unauthorized and treated as an exception. An Expense Report needs to be submitted with an approved Exemption form attached; see Exemption Report Section. (See Travel Pre-Approval Approval Section for approvals need). Changes required after the traveler has returned to headquarters will require additional documentation dependent on the request. An Exemption form should be attached to the Expense Report in Chrome River for change in travel dates. Only Expense Reports with actual expenses that exceed 5% of the original approved Pre-Approval amount, will be routed for additional required approval on the Expense Report. Contact the Travel office via email at the following address: travel@shsu.edu to close a travel Pre-Approval that never occurred, so that funds can be released back to the departmental FOAP. As required by the Texas State Comptroller for Public Accounts, SHSU adheres to the GSA per diem reimbursement rates as the method for determining meal and lodging rates for all business travel. Receipts required for all expense, with the exception of individual meals. Individual meals do not require a receipt per Travel policy FO-TR-03. If required receipt for specific expense is not available, then explanation must be provided on Missing Receipt/ Documentation/Problem Resolution and attached to Expense Report in Chrome River. GSA Per Diem Rates Website: www.gsa.gov is used to obtain lodging and meal rates for travel location. Updates to the GSA rate occur in October, as these rates follow a different cycle than SHSU. Rates are based on the dates of travel and could fall between the GSA rate update/changes. Chrome River will determine the correct cost. If the destination city/state or county is not listed, use the rates located in the Standard Rates column. If travel occurs in multiple cities, use the city of lodging address to determine the rate for a specific day. Ensure the correct month and fiscal year are selected from the Published drop-down menu. If the destination location does not appear in the Post Name column, use the rates that appear in the Other post name row. Ensure the correct month and fiscal year is selected for the specific country traveled from the Previous Rates option on a drop-down menu found on the Foreign Per Diem rates in U.S. Dollars found on page related to the website listed above. If destination location does not appear in the Post Name column, use the rates that appear in the Other post name row. Reimbursement rates for overnight travel related to meals expenses are dependent on the travel destination per diem, based on lodging location. Meal rate is reduced the first and last calendar day of the overnight travel to 75% of the per diem rate. Chrome River – Meal Per Diem Wizard auto calculates the reduction of the first and last day of travel to obtain the allowable meal rate. Employees are not required to submit individual meal receipts for overnight meals, regardless if meal purchased on travel card or personal card. Meal tips and service fees related to food delivery are reimbursable and are to be included in the total cost of the meal as part of the per diem rates for travel location of official SHSU business. Alcohol is not an allowable expense. Business meals within Headquarters are not considered travel expenses. A Purchase Order or the departmental Pcard should be used for payment of meals within Headquarters. Departments must provide the approved FO-19 form when submitting the Purchase Order Requisition or PCard Expense Report. Business meals are not included within the GSA per diem calculation for reimbursements. Travelers using institutional funding (“local funds”) may be reimbursed for lodging expenses, limited to not exceed over 50% of the per diem rate for the travel destination when traveling on official business for SHSU. EXAMPLE: If per diem rate is $85/night and the traveler is unable to obtain a room at the per diem rate, and the secured lodging obtained is $120.00/night, then the traveler can be reimbursed the full $120.00 because the max lodging rate of up to 50% over per diem is $127.50/night. GSA rate is based on the city of lodging address. If the conference/meeting is in a separate county/city from the hotel/location of rest, then per diem rate is based on hotel/location of rest. As required by the Texas State Comptroller for Public Accounts, SHSU adheres to the GSA per diem reimbursement rates as the method for determining the maximum meal and lodging rates for all business travel. Before a hotel reservation is acquired, consult the per diem rates on gsa.gov for the travel destination. Documentation should be provided from the GSA website as an attachment to the Expense Report to verify the lodging per diem rate. If the lodging rate is above GSA, over 50%, the traveler must provide justification for not obtaining the allowed rate. Lodging must be reasonable for the locale and time period. Approval through the Divisional Vice President for a higher rate must accompany travel Expense Report. Lodging expenses incurred the night before official business has started and the night after official business has ended, are considered reimbursable/allowable expenses. Conference Hotel – if a discounted conference hotel rate is given to attendees, the confirmation of the rate should be attached to the Expense Report. The best practice to obtain the verification of the conference room rate is to screenshot or print the page from the registration website that documents the hotels and rates for the conference, if available at the time of booking hotel. In the event the traveler is unable to secure the conference rate, the traveler may obtain approval of a higher rate from Dean or Vice President depended on location of travel. Approval of the higher rate must accompany travel expense report. Conference room rate is allowable only on institutional funds. State funded travel is restricted to the GSA rates. If the conference hotel rate is sold out and a different hotel is selected that is over the GSA for the per diem in business location, but equivalent to the conference rate, then reimbursement can be acquired for the amount of the conference rate, provided the documentation for proof of conference room rate. An itemized hotel receipt with a $0.00 balance is a required attachment in Chrome River. The traveler must provide a receipt from commercial establishment to be eligible for reimbursement. Only claim the allowable approved lodging rate on an expense report. Expense reports cannot be edited once approved in Chrome River. Example: If the approved lodging nightly rate is $150.00 and the actual rate charges for nightly rate is $155.00. Traveler can only claim $150.00 on the Expense Report. When at least two travelers share and pay the lodging expenses out of pocket, each traveler will be reimbursed for their portion of the expense, up to the maximum daily lodging reimbursement rate. However, if expenses are paid on a university travel card, then that employee can claim the expense on an expense report. The report needs to include the names of the travelers with whom expenses were shared. The expense can be split by FOAP if necessary. Reimbursement will be given to traveler obtaining the expense. When submitting an Expense Report, the traveler claiming reimbursement must identify the name and Pre-Approval Report ID or Expense Report ID of the other traveler to cross reference the expense via comment in Chrome River. Each SHSU staff/faculty can only be reimbursed for their own expenses. Expenses for another person cannot be submitted as your own and must be documented on Expense Report, providing details related to the expense. SHSU travelers are exempt from paying the state hotel occupancy tax when traveling in Texas; however, they are not exempt from paying county, municipal, or other tax collected by a commercial lodging establishment unless an exception applies. To qualify for the exemption, the employee must present a completed Texas Hotel Occupancy Tax Exemption Certification upon check-in. All required taxes/fees are reimbursable with the exception of Texas Hotel State tax. State tax only applies to Texas; other state hotel taxes will be reimbursed. If the traveler fails to provide the completed certification to the commercial lodging establishment, they may not be reimbursed for the state tax, and repayment to SHSU may be required. If the lodging expense is greater than maximum GSA lodging rate and the additional cost is not approved, the other lodging taxes will be reduced based on the percentage of the approved nightly room rate. Travelers are eligible for reimbursement of registration fees and will need to provide documentation of rate with proof of payment. Membership fees are not an allowable travel expense. Payment method for registration fees can be processed on a SHSU P-card, Travel Card, or personal credit card expense with request for reimbursement. If SHSU P-card is used do NOT include on travel Expense Report. Expenses incurred on the Pcard are applied to departmental FOAP with other monthly P-card transactions on the Chrome River Pcard Expense Report. Travelers are eligible for reimbursement for the actual cost of transportation by air, bus, taxi, subway, train or other commercial transportation company. Travelers must submit original receipt to be eligible for reimbursement. CTP and the Concur booking tool should be used when booking airfare for staff, faculty, and graduate students. Travelers may be reimbursed for the actual cost of the commercial air transportation incurred to conduct SHSU business. Airfare purchase utilizing the “Ghost Card” in Concur should not be included on an Pre-Approval or an Expense Report. Ghost card payments are processed as a separate method; outside of Chrome River, and booked to the departmental FOAP associated at the time of booking. The preferred airport is George Bush Intercontinental Airport (IAH), due to the proximity from Headquarters, unless another airport is closer to departure address or it is more cost effective to leave from another airport. Travelers are required to book the lowest available fare (coach/economy seat) to travel to a specific destination for official SHSU business. If Business or First Class airfare or any additional upgrades are purchased then approval of the appropriated Vice President is required in order to receive reimbursement. Change fees are only reimbursable for business or weather related situations and an explanation should be provided on the travel expense report, within the business purpose. If the change fees are incurred on institutional funds (local) due to other circumstances then an exception must be approved by the responsible budget representative (Dean/Director/VP). Regardless of funding sources, the traveler is required to submit a receipt to be eligible for reimbursement and submit travel Expense Report. Travelers may be reimbursed for the cost of renting a vehicle if necessary to conduct official SHSU business. Car rental reservations can be made through the Concur booking tool. Preferred state contracted vendors are Enterprise/National, Avis/Budget, and Hertz. The rental rates include insurance coverage. Economy or intermediate size vehicle is preferred. Justification for business purpose and approval from direct supervisor is required if vehicle type deviates from the preferred size. The traveler must submit a receipt to be eligible for reimbursement and submit travel Expense Report. Insurance charges (for non-State contracted rentals only): SHSU will reimburse for Collision Damage Waivers (CDW) or Loss Damage Waivers (LDW) when using a non-State contracted rental agency. Additional driver charges: The additional driver must also be a SHSU employee/student and the reason for charge must be business related. Justification is required to be attached to the travel expense voucher noting the business reason. Expenses incurred for the personal use of the rental vehicle, including fuel. Additional driver cost, if the driver is not a SHSU employee/student and not business related. Personal accident, liability, effects insurance (any insurance other than CDW or LDW). The mileage for the distance a traveler is seeking reimbursement for, must be in excess of the round trip mileage of normal daily commute to Headquarters. A state employee will not be reimbursed for mileage incurred when traveling between the employee’s residence and Headquarters, regardless of funding source. All “To/From” destinations must be detailed and specified on the travel expense report. Commute mileage is only deducted for non-overnight travel. Mileage incurred for overnight travel or travel on a non-workday to an event, regardless of origination point or destination will be reimbursed. Mileage reimbursement may not exceed the distance from Headquarters to specific destination. A non-working day is defined as any day the university is closed (i.e. holidays, weekends, emergency closings, and energy conservation days). Best practice is to add an employee’s daily distance commute to Chrome River profile so the commute miles, can be applied, when applicable for expense report. When creating an expense report, utilizing the mileage tile, select the deductions section, defaults to none, (click on the word none) and select distance, then the commute miles will auto populate base on the information related to profile settings. Enter the actual locations traveled throughout the daily trip (see example below). Traveler lives in Conroe and their daily commute (round trip) to Headquarters (Huntsville) is 54.0 miles. The traveler has an official SHSU business meeting to attend and the total mileage incurred that day is 74.70 miles. The traveler can only claim 20.7 miles as reimbursable miles. Airfare is the recommended travel source for all out of state locations. The time and cost is typically the most cost effective means of travel. Personal travel included in with business travel is permitted; however, additional documentation is required to verify conservation of funds. Expenses on personal days will not be reimbursed. Complete the Cost Comparison Form and supporting documentation (screenshot of airfare for business days only) as attachment submitted with expense report. See example below. Example: A traveler purchases an airfare ticket to attend a conference and the conference dates are the 10th-14th and the traveler decides to stay until the 17th on personal time. A cost comparison for the cost of the airfare must be provided showing the actual cost of the ticket including the additional days (9th-17th) and then a cost for a ticket if the traveler were to have returned the day after the conference (9th-15th). The lesser of the two options will be the amount reimbursed to the traveler. SHSU Travel card should not be used if personal time is included with business travel to avoid a strike on the card if the cost is more to extend the travel. Recommended when two or more employees from the same department are traveling to the same destination, as a method of conservation of funds. Headquarters should be the meeting point when applicable. If an employee has been driven to the airport in lieu of parking expenses, a cost comparison should be provided with the expense report to prove that it was more cost effective to claim two (2) round trip mileage calculations rather that one (1) round trip and a parking expense. Travelers are identified as individuals not currently employed with SHSU requesting to travel reimbursement. Guest/Prospective Employee travelers can be reimbursed for out of pocket travel expenses or a departmental travel card can be used if the department has requested a card. Guests will need to be set up as a vendor. Chrome River Vendor Set Up Request Form Departmental admin will need to create a report utilizing their profile, selecting the guest/prospective employee as the traveler type, and the traveler’s name as the vendor. Once the vendor name is selected, then the report is tied to the traveler’s name and no longer in the name of the admin when information is transferred to Banner. Departmental admin’s profile in Chrome River will still be utilized for reports. Reports will be routed automatically through Chrome River for approval based on org used for expenses. A BearKat Buy requisition must be created for the guest if a service/speaking fee is charged to SHSU. The service fee cannot be processed through Travel. Access to book for a guest must be obtained through the Travel Office. Approval for the ability to book for a guest will be added to the administrative staff’s Concur profile. The administrative staff’s profile must be complete before travel arrangements can be processed. Phone and email address so traveler can be notified of changes/updates. Email notification will be sent to the traveler with an overview itinerary including the airfare confirmation and ticket number, hotel, and car rental information. Guests and prospective employees would need to be booked as a guest within Concur only if the university is paying for the travel expenses with the ghost card or departmental travel card. A Chrome River Pre-Approval report should be created utilizing the administrative staff’s Chrome River profile, but select the vendor as the traveler (available from the drop down list). If Guest or Prospective Employee is booking travel arrangements and requesting reimbursements, then traveler will need to provide receipts to administrative staff to prepare Expense Report for reimbursement. Out of state = Departmental Chair, College Dean, and Vice President for Academic Affairs. Out of state travel = Director and Divisional Vice President. Grant funded travel - requires the same approvals as the academic or administrative staff with the additional approval of the PI and Office of Research Administration to verify the travel is within the limits of the grant contract agreement. Grant funds begin with 22xxxx-29xxxx. An employee must certify that the expenses are true and accurate for travel related to each approved. Pre-approval by approving the Chrome River report via auto email notification or directly in Chrome River. Expense will not process unless approval obtained by the employee. An employee’s approval is sufficient if the expenses are less than the approved travel Pre-Approval report. If the expenses are greater than 5% of the approved dollar amount originally encumbered on the Pre-Approval, then the Expense Report routes for additional approval by the traveler’s direct supervisor. State Funds (Funds beginning with 11xxxx or 12xxxx) – Travelers are limited to the GSA per diem rate and must not exceed the rate specified for destination. Meal and lodging rates differ depending on whether the travel is in-state or out-of-state. State travel expense reimbursement is not a per diem. An employee must claim the actual expenses incurred for meals and lodging not to exceed the maximum allowable rates. The maximum should not be claimed unless the actual expenditures equal or exceed the maximum allowable rate. The reimbursement limit applies without a carry-over from another day. Lodging expenses incurred the night before state business begins and the night after state business ends are reimbursable. Lodging expenses incurred more than one night before or after the state business begins or ends are not reimbursable unless the expenses are incurred to qualify for discount airfare or if travel to or from the duty point reasonably requires more than one day. Hotel Engine - Hotel Engine is a private hotel booking platform that connects State of Texas travelers to rates unavailable to the public and streamlines business travel management. With dedicated, 24/7 customer support services, a simple search and book process, and customized account management tools, Hotel Engine is the preferred vendor for the State of Texas. Contact Travel Office for Hotel Engine Login. Itemized hotel bill must be in the name of the traveler, SHSU employee’s name. If a GSA rate is not listed for a specific location, then the standard rate is used for meal and lodging rates. If a traveler has unused meal per diem, that amount can be applied to the lodging rate for maximum reimbursement; however, the reimbursement is limited to the combined total for meal and lodging. Example: Per Diem rate for meals is $56.00 and lodging is $95.00 with a combined total amount of $151.00. The hotel nightly rate is $110.00, and the total actual meals for the day is $35.00, then the unused meal amount of $21.00 can be applied to cover the overage of the hotel. The combined total expense is $145.00 which is less than the combined GSA rate of $151.00. Change fees are only reimbursable for business or weather related situations and an explanation must be provided on the travel expense report. If state contract airfare is not utilized, the traveler is required to note a specific state approved exception to the travel voucher. Exceptions: See the Travel Audits & Exceptions on the State Contract webpage. The Travel Card allows employees the privilege and ability to make travel arrangements for necessary business purposes, away from Headquarters, and reduces the need for travel advances or use of personal funds for SHSU business. University individual Travel Cards issued to employees can only be used when traveling on institutional (local) funds. Request for a travel card needs to be approved through departmental head submitted on Card Order Form. Departmental travel cards can be used for student, prospective employees, or guest travel arrangements. These types of travelers do not have profiles in Chrome River, so the administrative staff is assigned to the departmental travel card and all reports are submitted through their profile. The University Travel card may be used for Airfare, Hotel and Car Rental along with Restaurants, Parking, Shuttles/Taxi, and Conference Registration Fees. An approved travel Pre-approval is required prior to making travel arrangements. CTP and the Concur booking tool offers the availability to use a defaulted virtual card “ghost card” to purchase airfare. The SHSU virtual card will be booked to the departmental FOAP assigned to the airfare purchase within 10 days from the billing cycle close date. If adjustments need to be made to the FOAP, the department will need to contact the Controller’s Office/General Accounting Department, as only one FOAP is allowed within the booking tool. Travel Expense reports utilizing the virtual “ghost” card, should provide a comment in Chrome River that airfare was purchased on the ghost card. Airfare on the ghost card should not be included in the overall total of the expense report because these expenses are processed outside of Chrome River. If the traveler enters their individual SHSU travel card or the departmental card into the Concur booking tool, then expenses will be booked to the departmental FOAP after audit of the travel Expense Report. Sign travel card agreement and abide by travel policies and procedures. Protect the card and card number at all times to prevent unauthorized use. Departments may opt to maintain the cards in a secure location to be distributed at time of travel. At end of travel departments may require the card be returned to a central location. Only business related travel expenses are allowed. No personal charges may be charged to the travel card. Reconcilers will report unallowable/personal charges by selecting the check box Personal charge in Chrome River to identify the amount the traveler is responsible for repaying to SHSU. Cardholders (travelers and administrators) are responsible for ensuring all charges comply with Sam Houston State University Travel Policies and Procedures. The expenses need to be properly itemized, supported by a business purpose, and submitted within a timely manner. The travel card must be reconciled by the traveler or responsible administrative departmental staff within thirty (30) days after the return date of travel. Travel card expenses should be included on the expense report submitted in Chrome River. Each card is assigned to an individual employee’s profile and transactions automatically feed from the credit card company to the employee’s profile. The transactions appear in the eWallet as Credit Card, the green dot indicates transactions are available to reconcile. Before submitting a report ensure all transactions have been posted in Chrome River. If after 120 days from the return date of travel, documentation has not been reconciled, then the outstanding travel expenditures will be considered past-due and will be applied to the employee’s MySam account, unless extraordinary circumstances arise and prior approval is obtained from appropriate Vice President. The travel card will be suspended until the transactions have been submitted and approved. If the traveler has an upcoming travel and card has been suspended, then traveler will need to use their personal credit card for upcoming expenses and request reimbursement. Three Strike Rule – If the traveler or department has been delinquent in reporting expense or has three (3) travel expenses report with unauthorized expenses, then the Travel Card can be suspended for one year with notification of card suspension sent to traveler and department head. All unauthorized expenditures will be added to the employee’s MySam account, unless a reimbursable item such as mileage can be netted against the expenses submitted. The penalties for misuse are valid for one year per the Travel Office; however, departments can enforce a more restrictive internal policy. The cardholder is personally responsible for repaying Sam Houston State University for all non-reimbursable/unallowable Travel Card charges. Travel Office will add amount due to SHSU on the travelers MySam account. Traveler will receive notification of the charges and payment is due upon receipt of the travel audit report. If an SHSU traveler’s account reaches the limited amount of $200.00 for unauthorized expenses, then the travel card will be suspended until repayment has been made to SHSU. Cardholders who do not comply with Sam Houston State University Travel Policies and Procedures may have their cardholder privileges revoked. Misuse of the Travel Card may result in disciplinary action. The Travel Card is a University-liability corporate card; the University has the responsibility for paying Travel Card charges directly to the bank. Departments should dispute charges when having problems with vendors for non-receipt of services or products within 30 days of the statement date in which the transaction appears. Contact the Travel Office to receive the required documentation to formally dispute a charge. FRAUD - Charges considered fraudulent should be reported to WEX immediately by calling the 800 number on the back of the card or contacting the Travel Office. WEX will send an Affidavit of Unauthorized Use form to the Travel Office and then the cardholder will receive an email with documentation required. If transactions actually post to the card the Affidavit must be returned to WEX within 30 days of the statement date in which the transaction appears. The Travel Card is valid only while the cardholder is on active payroll status and while the cardholder is using the Travel Card in accordance with the University policies. The Travel Card will be canceled and deactivated by Sam Houston State University Travel Office on the date the employee separates from the University or upon misuse. If a Travel Card needs to be replaced and the card needs to be shipped FedEx, then the department will be charged a $25.00 for a processing fee. No additional charges for regular mail. To travel on a sanctioned university trip to a foreign country the traveler(s) must receive approval from the appropriate Vice President prior to the dates of travel. International Programs Office and Risk Management will review all foreign travel and advise if the foreign location is a safe environment. Information will be forward to the Vice President to determine if approval is granted. Travel to a location with travel warning alerts will be denied. If a country is under a travel warning, there is a possibility that a waiver can be accepted for faculty or staff. It is not an automatic approval; traveler will need to contact Risk Management for more information. The University will not approve any student travel to a country that has a Travel Warning. No waiver is acceptable for student travel to a country with a travel warning. Complete and submit a travel Pre-Approval in Chrome River at least forty-five (45) days prior to departure, to provide ample time for approvals prior to beginning date of trip. •	List of students (roster) if applicable. Lodging and Meal rates are to be determined by the www.gsa.gov rates for the specific country and will be reimbursed in accordance to the meal and lodging policies. Foreign travel must be for the benefit of the State of Texas and any personal benefit thereby occurred must be solely incidental to the official purpose of the travel. It is the obligation of the individual employee who is traveling, supervisors, and executive leadership (dean/divisional vice president) to ensure that all foreign travel conforms to this requirement. All travel request will be reviewed by the Office of Risk Management. The travel will be approved or denied depending on any travel advisories issued by the U.S. Department of State of warnings against or restrictions for travel by United States citizens. On-site Exchange Rate: If the traveler converts U.S. dollars to a foreign currency while overseas, the traveler should receive a receipt showing the actual exchange rate. This single rate may be used only for the individual transaction and may not be used for other transactions during the trip. Additional fees charged by the foreign currency exchange vendor may be reimbursed, if included on the receipt, itemized, and explained. Credit Card Rate: If the traveler charges expenses to a credit or debit card, the card issuer will perform the currency exchange. The rate will be detailed on the card statement, which may be used as documentation of the exchange rate. Additional fees charged by the card issuer for foreign currency transactions may be reimbursed, if itemized and explained on the statement. On-line Rate: The traveler may use OANDA.com to obtain a standard conversion rate using the historical currency exchange. The OANDA website provides an average exchange rate that can be customized to the exact dates of travel. Submission of an Expense Report via Chrome River is due within 30 days from the travel end date. Applies to out of pocket expenses, and travel card transactions. Travel advances if applicable, are processed differently. Contract the Travel Office for instructions on how to submit an expense report related to advanced funds. All reimbursable expenses must be adequately accounted for within 120 days or the expenses can be reported as taxable income to the employee and may result in the travel card suspension. Sam Houston State University defines “reasonable period of time” to be 120 days from the end date of travel. Transactions over 120 days automatically route through Chrome River to the appropriate approvers based on location. IRS Accountable Plan - Expenses that fall within the IRS accountable plan are not reported as taxable income to the employee and must meet all listed criteria like below. Expenses must have a business connection. Must adequately account for these expenses within a reasonable period of time. Must return any excess reimbursement or allowance within a reasonable period of time. It is recommended that departmental administrative staff run reports in COGNOS or view Banner form FGIENCD - to view open encumbrances on account code 710000 to verify that all travel encumbered is accurate and submitted in a timely manner. Encumbrances can be viewed in Banner, Chrome River Pre-Approval transfers to Banner as a document with a prefix of “C” and the last 7 digits of the Pre-Approval Report ID number. Pre-Approvals should be closed if the travel end date is older than 120 days and the encumbrance will be released back to the departmental FOAP. Departments can limit the amount of reimbursement to the traveler. It is the responsibility of the traveler and the department to only submit expenses for the approved amount of the Pre-Approval. If the travel expenses are greater than the estimated cost and more than the approved travel Pre-Approval, then the report will route for additional approvals. Expense reports should only be submitted for amount allowed by department. Traveler will receive the approved amount that appears in the PayMe column in Chrome River. Change in Travel Dates – requires an exemption form and explanation for the change in travel dates if the original Pre-Approval was approved for different dates of travel and must be approved by the traveler’s direct supervisor. Special needs related to specific circumstances. After the Fact Travel does not require the exception form as the Expense Report is routed for approvals through Chrome River, however an explanation is required in the business purpose of the expense report for the delayed report. Any exceptions to these policies and procedures must be approved through the appropriate Division Vice President.